First, let me start with a question. 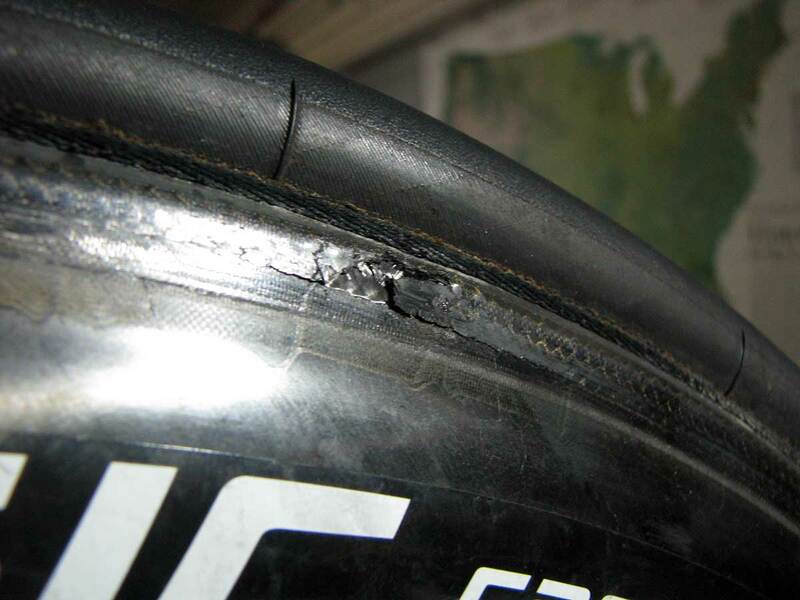 If this was your expensive carbon front wheel, what would you do? This happened during a crit when I heard a loud pop and thought I had blown a tire. I was able to finish the race with no apparent problems, but the clicking I heard during braking was the outer layers of carbon fiber getting caught on the brakes. The crack is only to the outermost layer of the carbon, and it is peeling off like layers of an onion. 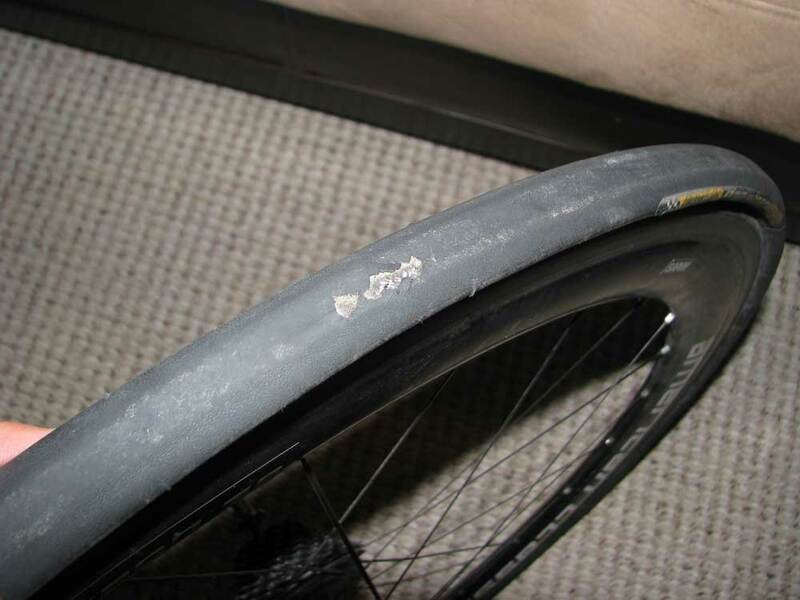 I am planning on taking it by Cahaba Cycles later today to get a recommendation, but I am wondering if anybody out there has had a similar problem. Also, I’ve been meaning to post these pics for a while, but I recently had to update some equipment on my bike. First, my speedplay x-series pedals were wearing out, and I was wanting to move to something with a little less float so I used my store credit at Cahaba Cycles (thanks guys!) to purchase a new set of Speedplay Zeros. 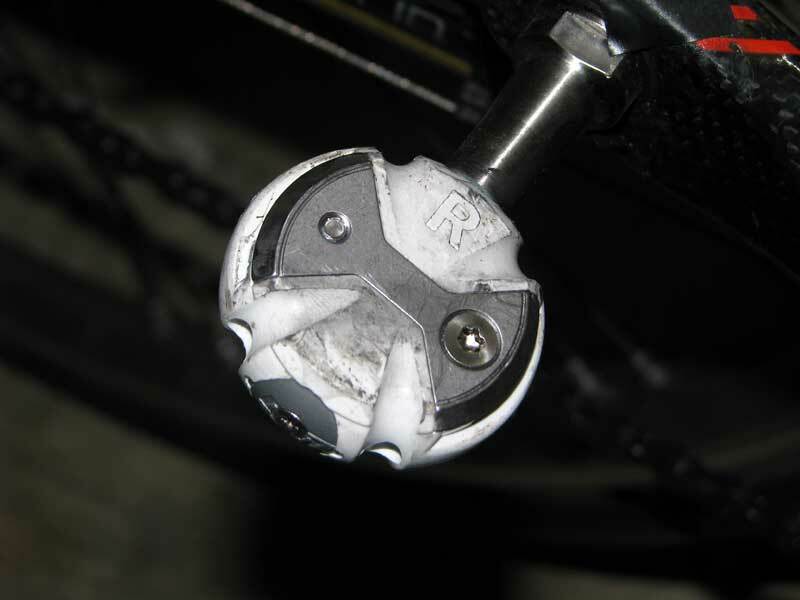 These pedals allow you to adjust how much float you have, and they are awesome! Finally, after 15 months and at least a thousand (maybe two thousand) miles of hard racing, I had to replace the tubular tire on my rear American Classic racing wheel. 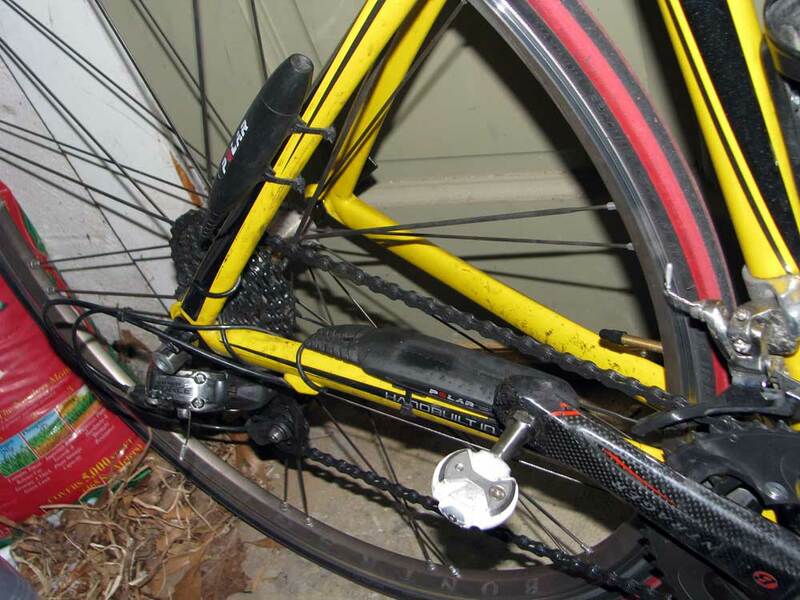 This entry was posted in Misc and tagged equipment, pedals, tires, wheels on August 30, 2008 by kartoone.